What a difference eight years make! In 2010, human beings simply ate their food, instead of taking pictures first for social media. And then Instagram was founded. And in 2010, no comprehensive database for nutrition and supplement research could be found on the Internet. Nothing. Nada. Zero. Zilch. Then, in 2011, came Examine.com — and with it, comprehensive analyses, all freely accessible, of tens of thousands of scientific studies. Now that we’ve imprinted the number eight into your brain, let me share eight important lessons I’ve learned in the past few years. More than half of our research staff have health issues that impact daily living — which is often how they got into nutrition in the first place. In fact, my co-founder and I both have the painful connective-tissue disorder called Ehlers-Danlos syndrome. And we see the same pattern over and over again among our readers. Although scientific knowledge is important, so is learning to be gentle with others (who knows what’s going on in their lives and bodies?) and yourself (life is hard even without health issues; poor health makes everything twice as hard). Let me tell you about this time when the Examine.com staff argued about a nutrition trial. One researcher thought the trial added important new information, while another thought that the methodology was too flawed. Hold on … that’s actually what happens nearly every day around here! Studies are presented as fact in the media, but when you really delve into the numbers and methods and previous studies, arguments ensue. And that’s how we piece together the big picture of nutrition topics: a bloody battle royale among our researchers. Fun! Behold the randomized controlled trial! The gold standard of … bla bla who cares. This may sound weird coming from such an evidence-based website, but self-experimentation is typically underweighted while published evidence is overweighted. It doesn’t matter how many trials show the superiority of a certain diet or food: if a diet, food, or supplement makes you feel bad, and the feeling doesn’t go away, it is obviously not for you. Science has only explained a sliver of nutrition mechanisms. There’s still much to learn. There are 7.5 billion people in the world, with a startling array of medical conditions, gut microbiomes, and environmental influences. And of course, each of us has a different genome. Science is great at describing and explaining trends, but not always at deciphering or predicting individual reactions. This is my biggest pet peeve. Some nutrition gurus will be prudent in their language (e.g., “I’m not entirely sure” or “The research doesn’t seem conclusive”), but the vast majority are not. In fact, many masquerade as research masters: to hear them speak, they’ve analyzed the full text of thousands of important studies and concluded that their diet is the very best one for all humanity. Hint: stay away from these gurus. 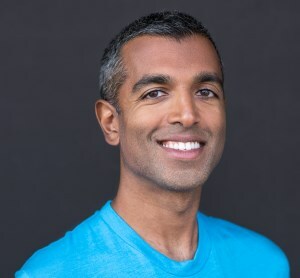 It’s fine to be an advocate for your diet, but please realize that humans are variable: the diet that fits you best may not fit your best friend. Some beliefs are top-level wacky (breatharians claim that food isn’t needed: you should be able to survive on air and sunlight). Others are second-tier wacky (some people will swear that brown eggs are healthier than white eggs). But the third tier of wackiness is much more commonplace: believing that skipping breakfast will wreck your metabolism, believing that all supplements are useless (or, conversely, that some are absolutely necessary for everybody) … there are a million of these beliefs, and we combat them throughout the website. It’s fun to hack your nutrition. Try a diet, avoid a food, count your macros. But the best diet in the world can’t combat a deficiency in the three S’s. If you never go outside, the lack of sunlight will impact you in more ways than science can currently explain (there is no Sun lobby that fights to do tons of studies on sun research). If you have sleep issues, I don’t have to explain to you how overwhelmingly crippling a consistent lack of sleep can get. And if you keep relegating stress management to the “someday” section of your to-do list, your body will eventually tell you how important it really is. This sounds random, but here me out. I believe that children are our future; teach them well and let them lead the way. So said Whitney Houston, back in 1985. Yet 34 years later, kids are simultaneously our beacon of hope and a sign of the apocalypse. How are we teaching them? Many parents freely offer their kids vast amounts of processed foods, some of which are marketed as being healthy. Couple that with the ubiquity of tiny tots using handheld devices, and I envision a future not unlike the one depicted in the movie WALL-E: motionless humans being fed processed food and prepackaged entertainment, all day, every day. I’m proud of our research staff — they’re open to unrelenting criticism from our reviewers, they’re fun to work with, and they care about helping people. But while our staff is great, and our research is sound, the tech behind our website was mediocre for many years. And that might be part of the reason why more people don’t know about Examine.com. So we’ve implemented a cleaner, faster redesign, and we’re now moving on to step two of our evolution: filling in some research gaps and making the site easier to read (with more-informative summaries, more graphics, and more practical takeaways). 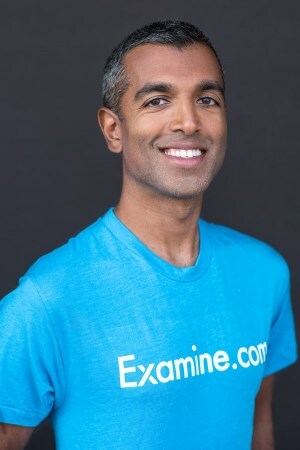 Everyone should know about Examine.com — it’s the only 100% independent database of nutrition and supplementation studies, and … well, it’s kind of awesome. We’ve gotten many emails about how our objective analyses have helped people’s health and well-being. But our job isn’t just to do the research; we also have to make the research accessible, and for that, our writing must be clear and precise, and our website must be pleasant and easy to use. We’re on it!